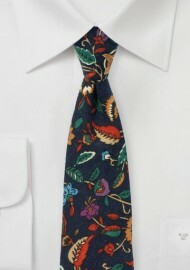 Turn heads anywhere you wear this tie to! The vintage floral print reminds us of retro wall paper from the 50s. 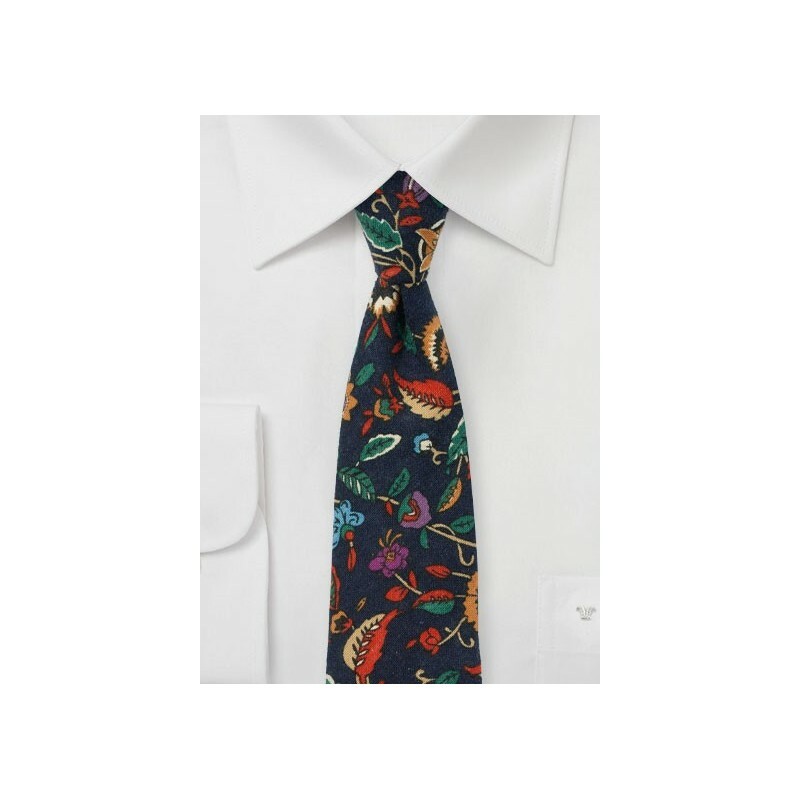 Pairing this vintage design with a flannel cotton fabric and a slimmer cut of 2.75 inches creates an unusual modern accessory that looks best when worn sans suit but instead casual dress shirts, chinos, and even jeans. Handmade from cotton flannel by neckwear brand BlackBird.